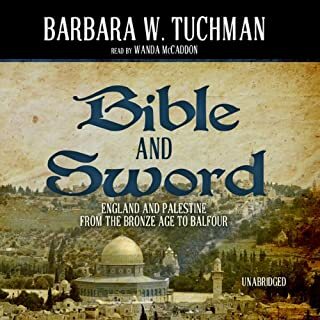 Two-time Pulitzer Prize - winning historian Barbara Tuchman explores the complex relationship of Britain to Palestine that led to the founding of the modern Jewish state - and to many of the problems that plague the Middle East today. This compellingly written history presents a fresh, new view of the events that led from the first foreign salute to American nationhood in 1776 to the last campaign of the Revolution five years later. It paints a magnificent portrait of General George Washington and recounts in riveting detail the events responsible for the birth of our nation. In chronicling the adventurous life of legendary CIA operative Edward Lansdale, The Road Not Taken definitively reframes our understanding of the Vietnam War. In this epic biography of Edward Lansdale (1908-1987) best-selling historian Max Boot demonstrates how Lansdale pioneered a "hearts and mind" diplomacy, first in the Philippines, then in Vietnam. It was a visionary policy that, as Boot reveals, was ultimately crushed by America's giant military bureaucracy. For decades, a major piece of World War II history has gone virtually unwritten. The war began in China two full years before Hitler invaded Poland, and China eventually became the fourth great ally, partner to the United States, the Soviet Union, and Great Britain. Yet its drama of invasion, resistance, slaughter, and political intrigue remains little known in the West. 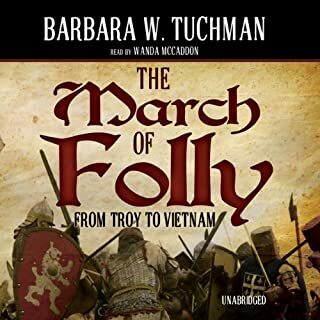 In this Pulitzer Prize - winning biography, Barbara Tuchman explores American relations with China through the experiences of one of our men on the ground. 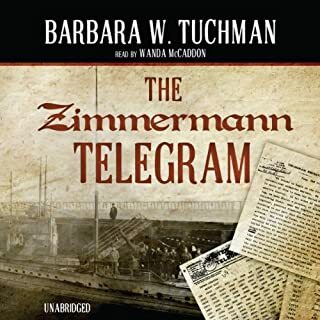 In the cantankerous but level-headed "Vinegar Joe", Tuchman found a subject who allowed her to perform, in the words of the National Review, "one of the historian's most envied magic acts: conjoining a fine biography of a man with a fascinating epic story." Joseph Stilwell was the military attaché to China from 1935 to 1939, commander of United States forces, and allied chief of staff to Chiang Kai-shek from 1942 to 1944. His story unfolds against the background of China's history, from the revolution of 1911 to the turmoil of World War II, when China's Nationalist government faced attack from Japanese invaders and Communist insurgents. 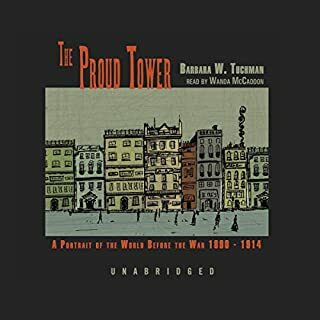 ©1971 Barbara W. Tuchman (P)2009 Blackstone Audio, Inc. I have always been interested in China and find Barbara Tuchman's books on historic moments excellent. This one did not disappoint. She painted a fair portrait of Stilwell. Clearly she liked him, but she did not cover up his flaws - particularly those that impacted his work in China. The most fascinating part of the story covers the WWII period, but the earlier time periods cast useful illumination on the events. Chiang Kai Shek does not come off very well, but the Americans, including Stilwell, did not truly understand him or the Chinese viewpoint with regard to many things. Mme. Chiang, whose Western outlook was better understood, was mostly responsible for the level of backing the Americans gave to the Kuomintang. I found this book well worth the time. For those who are interested in how fairly recent history has shaped our modern world, this book is strongly recommended. If you could sum up Stilwell and the American Experience in China, 1911-45 in three words, what would they be? Would you listen to Stilwell and the American Experience in China, 1911-45 again? Why? Yes. But one has to be a real WWII history geek. This 600 page book was written foran earlier generation of readers who were in a culture of long-form reading. So actuallythe audible format is a lot better for the way we all are now. But it is especially betterfor those under 40.I had a special interest, as one who is doing research on a family member who servedon Stilwell's staff in China-Burma-India. The book cast a lot of light on the artifacts anddocuments I am going through. I could read articles in the CBI Roundup papers withsome knowledge of the who/what/where/whens. Tuchman was a great writer from the old school of historians. I think that being awoman made her have a different viewpoint on the personalities. Military history ismostly written by men. Her views and opinions had that feminine insight. At thesame time she maintained a balanced tone, often stating the opinions and judgmentsof people with different perspectives.You also learn a lot about the Chinese history and worldview. In this regard the book is not "old" history, but is highly relevant to the China we deal with today.The book also gives you a good picture of life in the U.S. Army of the '20s and '30s. Good book for WWII enthusiasts. Not a quick read. Even in Audible format, get ready for a long involved journey. A stunning story of heroism, perseverance and the will to overcome all obstacles in the face of an ally not unable, but unwilling, to fight for itself. The story of Stilwell in China could easily be understood as the prototype for what happened in Viet Nam a decade later. It was impossible for me to come away from this book without a completely new understanding of Chiang Kai-shek and the role he played (or perhaps more accurately didn't play) in the Second World War. It gives a very positive view of Stilwell and the American effort, a positive view of many, many Chinese, but a very negative view of the active government in China during World War 2. And it serves as a dramatic counter-point to the allied victories in Europe and in the Pacific. I recommend it, but it is not an easy book to read. The book is not new (it was originally published in 1971) but Barbary Tuchman did a great service with this book and it deserves to be read. The narrator does an excellent job but, as I said, it is not an easy book to read. 29 hours flew by, Tuchman at her best. What did you love best about Stilwell and the American Experience in China, 1911-45? Barbara Tuchman is my favorite historian and I LOVE history. I trust her. You could read about CKS, Chenault, Mountbatten, Roosevelt, George Marshall. 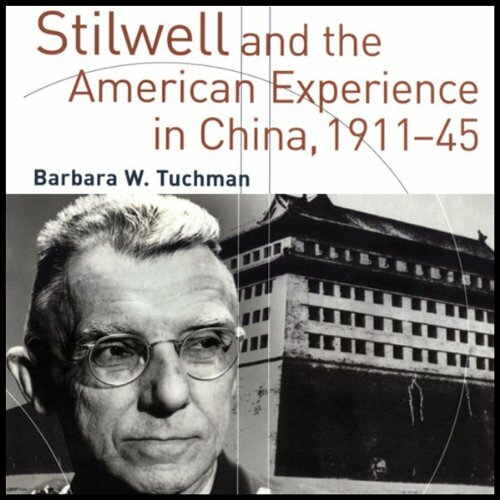 What was one of the most memorable moments of Stilwell and the American Experience in China, 1911-45? Certainly his presience and his triumphs with common troops who were beaten and outnumbered yet he organized and trained them into effective fighting armies. Honest to a fault. No BS. Walked out of Burma--its a jungle and full of enemy troops. Contempt for formality, the British Army and old US Army hierarchies. His love of common, working people no matter where he found them. I'll never forget the potential of CKS' 60 Chinese divisions never used against the Japanese, ugh! Could they have made Tarawa, Iwo Jima, Okinawa unnecessary and beaten Japan without the Bomb? Probably is my conclusion. Which character – as performed by Pam Ward – was your favorite? If you are at all interested in US-China relations, US Foreign Policy in general, US executive decision-making, FDR politics, WWII history, etc and have not read this book, then do so now. 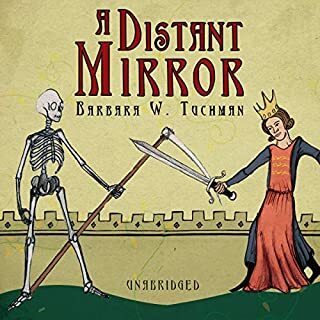 Barbara Tuchman is equally compelling as both writer and historian, adroitly switching between perspectives and levels of analysis with wit, insight, and clear organization. Pam Ward is so good I feel I have to go back and degrade all other performances to three or four stars. This is the first audible book out of dozens I have listened to at normal speed instead of 1.5x or 2x. She expertly highlights Tuchman's dry humor and memorably enlivens Stillwell's character - both good and bad aspects. One warning: I have the hard copy of this book and found it very useful to reference the maps of Burma and Stillwell's travels. This over 20 hours of listening in 4 parts of the life and times of Joseph Stillwell. It chronicles his life from birth (1911) to death (1945). He first went to China in 1920 and spoke fluent Chinese. He was the military attache to China (1935-39) and commander of US forces and allied chief of staff to Chiang Kai-shek (CKS) in 1942-44. While he was commander of the forces in China he also had to deal with the British which a different agenda in Far East, CKS, the communists Chinese, the Japanese and another US General Chenault. All of these factions had their own agenda and made Stillwell's plans extremely difficult to carry out. In particular, Stilwell believed in taking over the Burma Road to allow for supply of goods into China. 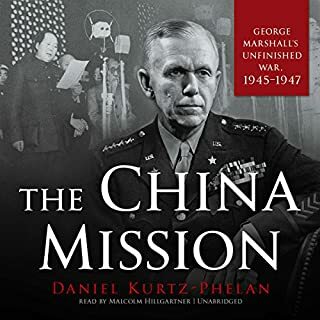 The British wanted resources elsewhere; Chenault wanted an exclusive air attack: CKS wanted U aid but did not want to commit Chinese troops and was more worried about the communists than the Japanese and Japanese were aggressively attacking China. Stilwell is depicted as a person who had a great respect and admiration for the Chinese people but had no respect or trust for high ranking chinese officers who were more interested in kickbacks and maintaining their army rather than winning the war. Stilwell also butted heads with CKS over how Chinese troops should be utilitized. The story also provides a good summary of the history of China from 1900 on. The story ends sadly. Stilwell does eventually open the Burma road, but air resources had improved to the point where the road was not necessary for supplies. Stilwell was eventually recalled back to the US when Roosevelt caved in to CKS request to have Stillwell removed. He returned to the US without fanfare or recognition for his efforts as the person who saw more battles than anyother in the Pacific. If you are interested in the history of China ane beginnings of US - China diplomacy you find this book interesting. B. Tuchman is such a good writer and presenter of Stilwell's good and bad parts and mostly the bad parts of the U.S. - China policy. My stomach began to twist whenever Stilwell had to deal with Chiang Kai Shek et al. It's no wonder Stillwell died of stomach/liver cancer soon after the war. The reason I read the book was that my father was in that theater of war, U.S. Army. Great book for understanding the crisis of China in the 20th Century and why the Communists ultimately won the civil war. Cuts through all the propaganda and myth making to lay out the gross incompetency and lethargy of the Guomindang and the naivety of the Americans who propped them up until long after it was too late.